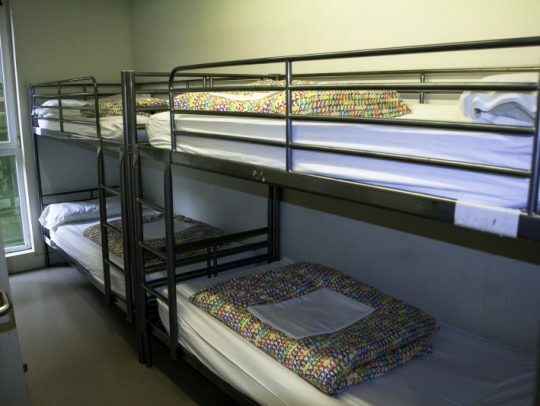 Ganbara Hostel has 62 beds in 13 rooms for four, six or eight people. We have a six-bed room with a private bathroom exclusively for girls. All rooms have security lockers. Wii and media library free to use. Consult prices of Bilbao BBK Live or Aste Nagusia writting to info@ganbarahostel.com.